We offer affordable, flexible and effective mystery shopper and competitor analysis in Leeds and the surrounding area. Our experienced agents can provide you with store, venue, and phone or online based mystery shopping in and around the Leeds area. Our impartial representative's assess and compares customer interactions against your KPI and other company data and statistics. This information will give you the opportunity to improve customer service, retain customers, increase sales and keep ahead of the opposition in and around the Leeds area. 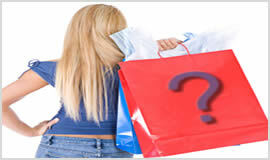 Mystery shopping is a fantastic aid for companies who wish to know how their business is performing. This service will give a real life account of the experience a shopper received in one of your shops i.e. your book shop in Bramley or Roundhay. With honest truthful feedback this shop can improve and become more profitable. The same can be said of the telephone manner of your call centre staff in Leeds or Rothwell or even the ease of browsing your newly launched Thorpe on the hill website. Contact our Leeds branch to discuss your requirements in more detail and we will be delighted to provide suggestions, help and support on how to achieve the most effective approach for your business.